Gérard sees pure levain (as he likes to call his starter) as the only way for a baker to truly personalize his bread: if he conducts his fermentation skillfully, no one will ever be able to reproduce the exact same taste. (I say “he” for short but Gérard counts many women bakers among his students and greatly admires them for their energy and resolve, and he is obviously talking about bakers in general). The fact that a pure levain, defined by Gérard as “a culture of freshly ground organic grains, organic sea salt, and pure well water, patiently tended over several days”, cannot be exactly copied is what makes baking an art and the artisan baker a true artist. Every baker can and should experiment freely to find the aromas that will constitute his signature and Gérard takes great pride and delight in explaining how. I was curious to see if I could create and maintain a levain “à la Gérard” and as I was back in Vermont to work with him on a different project, he offered to show me how to start. Frankly I was expecting the process to be exacting but a no-brainer since I would be working with an expert. But things never turn out the way we expect them to, do they? And I actually was in for a surprise (at step 3)… So was Gérard. But more on that in another post. For the levain formula, please click here. 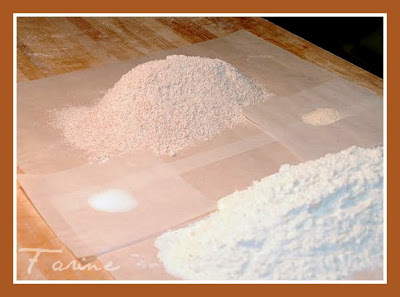 Weigh the salt and the malt and set them on a piece of parchment paper near the bowl where the flours will be mixed with the water. Mill the grain blend (for proportions, again please refer to the formula). Gérard insists on the importance of waiting until the last possible minute to mill the grains, in order to preserve the maximum number of wild yeast cells present in the grain. These cells are very volatile and disappear fast. In this clip, Gérard says the temperature of the freshly-milled whole-grain flour is 3 degrees warmer than that of the white flour. He doesn’t seem concerned, so I assume it’s fine. Gérard explains that a tension must be created on the skin of the starter. Gérard says that the starter is ready when it begins to shine and becomes tacky. When the starter is bouncy and the imprint of a finger remains visible, roll it into a ball, dust it with flour, flatten it into a disk which will fit at the bottom of the chosen container. For these proportions of flour and water, the disk should have a diameter of at least 7″, so the container needs to be selected accordingly. 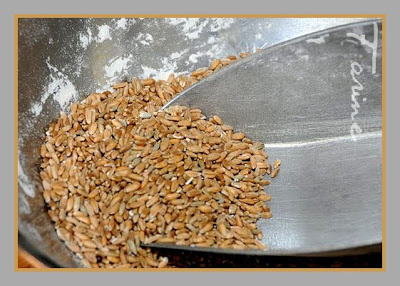 …then place in a plastic container on a mixture of whole grains (again wheat, spelt and rye), coarsely milled to prevent light and air from filtering through. 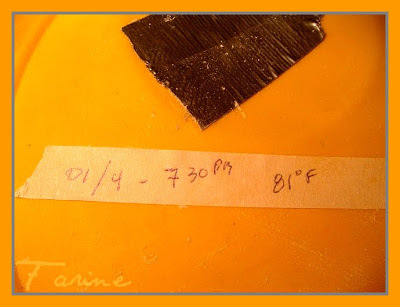 Cover with another layer of the same mixture (the disc of starter must be entirely buried), close the lid tightly, stick a paper tape on it and jot down the date, the time and the temperature of the starter. Let ferment for about 22 hours at 79ºF/26ºC. Thank you for the wonderful and insightful levain building course with Mr. Gerard! It is amazing that bakers are very open and gracious to you, but whenever I visit a bakery, the owners would usually tell me to go away, or they don't have time for me. Oh well! I do have several questions for you during your recent visit to Mr. Gerard. For clarification…does he use bakers yeast in his bread dough? How fine was the flour that he milled? Was it smooth/fine like regular bread flour? After he put the levain in the container, did he keep the container in a warm area (80 F)? Hello, Carl, Jeremy and Judd, thanks for your visit. In response to your questions, Carl, no, Gérard doesn't use any commercial yeast whatsoever. He mills his flour at the finest setting his mill offers but specks of bran are still visible, so it isn't as fine as regular/bread flour. I just bought an electric mill as well and only tried it once (last night to feed the levain). 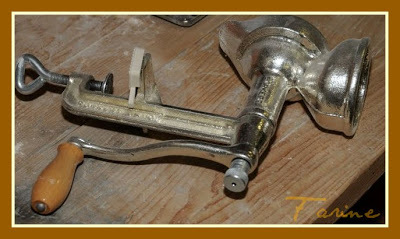 I noticed that at the maximum setting, my mill produces noticeable finer flour than his. Yes, he always keeps both the levain and the dough at about 80ºF. Teresa, I am so glad you visited. I cannot help but feel so moved as I was reading through each and every step which Gerard is showing you – such love, and such care. I am hopeless. I don't think I can go through your next post … (but I will). The man is unlike any other human being I've known. His love is in every step that he is showing the world (through you). Shiao-Ping, you make me smile. Yes, Gérard's love for his work shines through everything he does. I am in awe too. Cathy, many thanks for your kind words. would you please clarify the following. Prepairing a starter we isolate it with a mixture of whole grains "to prevent light and air from filtering through". What's the harmful effect of the air and light on the starter? It has been Gérard's experience that to maintain its integrity, the starter needs to develop in an aerobic and dark environment as both air and light would foster the formation of an outer layer on the surface of the disk. This layer would be oxidized and would look and taste differently. Also i'd like to clarify the following. What does it mean: 1st fermentation and 2nd fermentation? Is 1st fermentation = levain (which goes through three feedings, Gérard: "My bread is a three-levain bread.")? Is 2nd fermentation = final dough? I was reading the recipe for starting a starter, and I noticed that spring wheat is used to increase the mechanical properties. What does Gerard mean by that? Do you know? Thanks. Hi Mac, yes, actually I do. Spring wheat yields a stronger flour than winter wheat because it contains more gluten. It adds elasticity to the dough. But you don't want to use all gluten-rich flour either because at one point the dough becomes way too elastic and hard to work with. That's why Gérard uses a combination of grains. Thanks for the response. Hmmm…I thought that using spring wheat would increase the wild yeast content, so the culture would increase in volumes. I don't suppose you have any hints on how to increase the contents of wild yeasts in a culture? The reason I am asking is because when I start a culture, it will double or even triple in volume, but after the third or fourth feedings, it will go dormant. I will keep feeding the culture for about 2 weeks and still nothing happens. Thanks. does spring RYE also contain more gluten comparing with winter rye? @Mac, the behavior you describe sounds odd to me. Could you please email me a detailed description of how you feed and maintain your culture? Frequency and amount of feedings, temperature at which you keep it, type of flour, etc. I might be in a better position to help if I knew more. @Anonymous, I never heard there was a difference between spring and winter rye, gluten-wise. I don't even know that there is a spring rye and a winter rye. I'll try to find out. Rye containing much less gluten than wheat, I don't think it would make a perceptible difference in bread-baking. Probably tou can clarify folloowing. Is 2nd fermentation = poolish? And what's the 'number' for the final dough — 3? 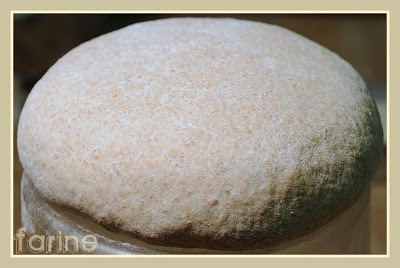 Hi Ales, the first fermentation is the stage when the final dough ferments in bulk, the second, also called proofing, is the one which takes place after the dough has been divided and shaped. Like the levain, a poolish is a preferment. 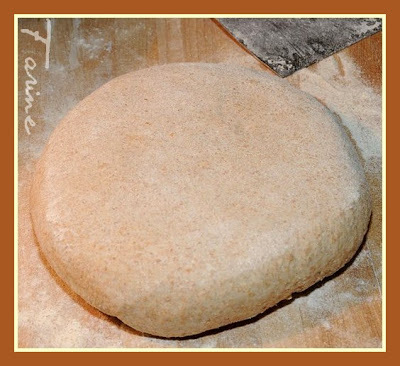 It is made with a portion of the yeast, the flour and the water which will go into the final dough. Gerard uses no poolish in his bread. I hope this answers your questions. Gérard feeds his starter with the ratio of starter to the flour laying between 1/1 to 1/2. 1. Does this ratio influence the starter's "strength"? In other words, would the starter be less strong if being fed 1/0.5? Or this ratio is only the point of fermrntation time? 2. What factors determine the starter's strength? Is it depends only on the quantity of microorganisms or their QUALITY as well? The ratio is important at the beginning. I would use the one Gerard has found works the best for starting a levain. In the final dough however the ratio can be adjusted according to room temp, humidity, etc. I know Gerard uses more starter in the winter and less in the summer for instance. Yes, of course, quality is very important and that's why Gerard uses freshly milled grains. 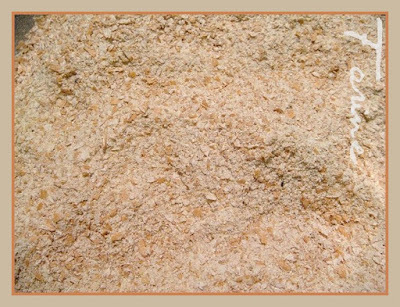 Freshly milled grains contain a huge amount of wild yeasts as well as many nutrients. Hi Farine, I've read about the building of Gerard's levain. We can't get all the ingredients (different organic wheats) and I can't mill myself. But still I'm intrigued by your story on Gerard. He's in my head all the time. Even though I can't make the same levain, maybe I can do some of it. But, I really don't understand the formula (A – A3). Is A the start (step 1) and are A 1, A2 and A3 feedings? Do I trow away some or keep everything? Then I need a big container. So you see, I read it but still have questions. Hope you can help me to get a levain, not Gerard's but maybe better than no levain? Hi Connie, you want to get organic for the whole grains because the pesticides and other chemicals concentrate in the kernel. You certainly don't have to go organic for the white flour. 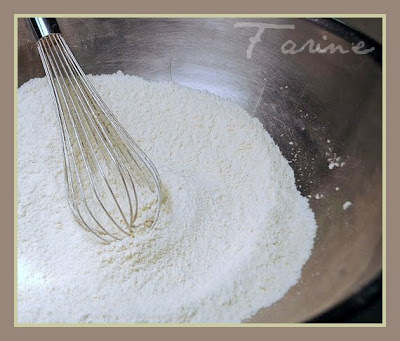 If no organic flour is available, you may want to create your starter another way, using just white flour (unbleached of course) and water. There are many "recipes' for that in bread books or on the Web. A white starter is perfectly fine and can be deliciously aromatic if you make sure you don't keep it at too cool a temperature. But to come back to Gérard's formula for the levain, yes, A is the initial step (when you have no culture yet). A1, A2, etc. are the successive builds. And yes as well, you throw away all but the indicated amount of the culture each time you feed it. If you didn't do that, you would end up eventually with a truly gigantic container… Please let me know what you decide and how it turns out. Hi Farine, It took me a while, but this levain has been in my mind for days and days. I told you I don't have access to the organic whole grains to grained myself. That same afternoon my friend gave me 1 kg of organic wheat, grown here in Thailand. I don't have a grinder, but started to sprout the grains and after drying I grind them in my mortar and pestle. One gets creative. So, now I have sprouted malt. But, I am trying to make 'my own' levain. I have my regular 100% hydrated with all purpose flour. But now I also have a 65% hydrated with all purpose flour, rye,whole wheat bran and sprouted malt powder. The smell is great. As soon as 'my' bread looks like a nice bread, I will show it. I keep you posted, thanks for sharing Gerard's and you wisdom. Hello MC. 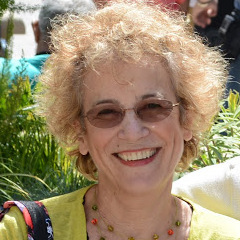 – Thank you for all the great information! A quick question. Malt is mentioned in the ingredients for building the levain. Is that malt syrup or diastatic malt powder? I have both. It is diastatic malt powder.